Lightbringer, Silverlight #4, is live on Amazon! If you haven't read the series yet, pick it up and binge read this dark paranormal now. Will Trinity bring the only light capable of defeating Darkness? 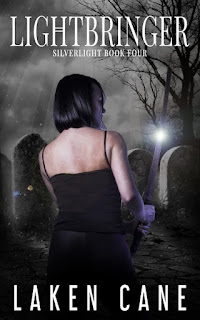 Or will she lose herself, her sword, and her supernaturals to the one man who can extinguish the light in them all?